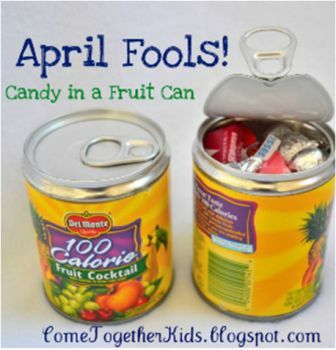 Harmless April Fools Day Pranks To Play On Your Kids! Just in time for April Fools day…these pranks won’t physically harm anyone and won’t make a big mess for you to clean up! Messy pranks are not my favorite-I don’t want to create more work for Mom’s out there! These pranks are perfect for kids! I just watched a home video of my oldest when she was 4 years old. She had called Dad while he was at work and said, “My piano is on my head-April Fools!” The best part was, it was December! The kids have always loved April Fools jokes so this year I am trying some of these fun harmless ones! 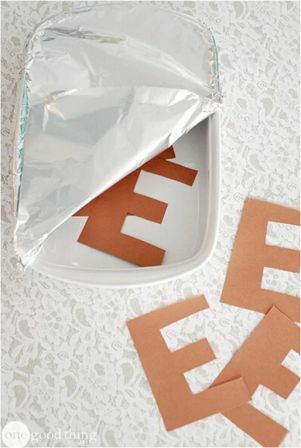 Make a pan of brownies in true April fools day style—cut letter E’s out of brown construction paper and get a laugh! Credit:Brown E’s. Make some Eggs for breakfast or lunch! 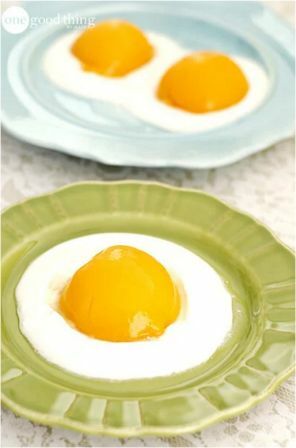 Except instead of using eggs, spread some yogurt around a small plate and add a half slice of a canned peach. It looks crazy realistic! This might be a joke they actually love. Ask them to get the canned fruit or veggies from the cupboard but instead they open it to find candy! This canned fruit prank is easy to do, just open the bottom of your can, use the contents (or place in Tupperware for later use) wash, dry, fill, and hot glue the bottom back on! My kids are going to get a laugh out of this one! 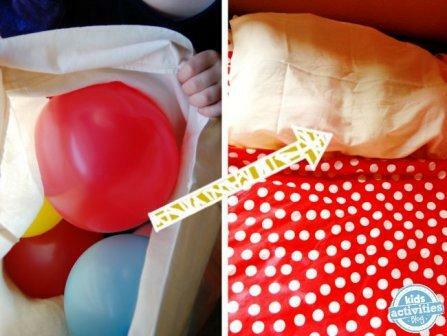 Fill their pillow case with balloons! This fun little prank is inexpensive and is sure to make the giggles appear! Credit to Kids Activity Blog for this fun idea!